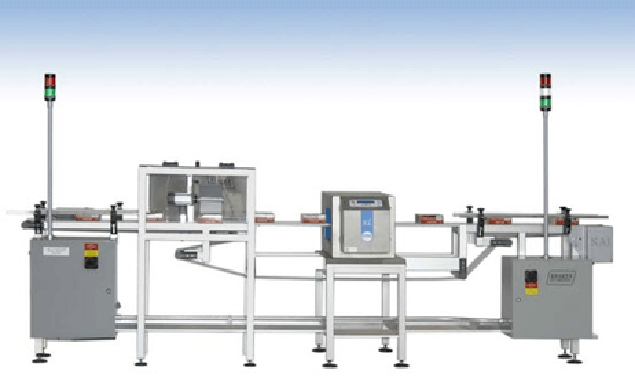 The KSPR2-60/70 High-Speed servo paddle rejection mechanism is designed to handle larger cartons and heavier weights than the KSPR3-240. 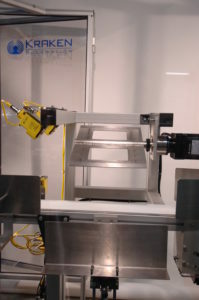 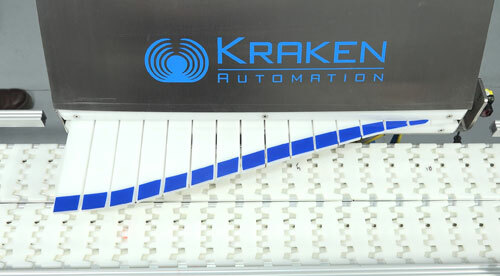 This dual-fin paddle reject device can reject cartons, whether open or closed, of sizes up to 9” at speeds of 60 to 70 PPM (based on a 9” carton spacing). 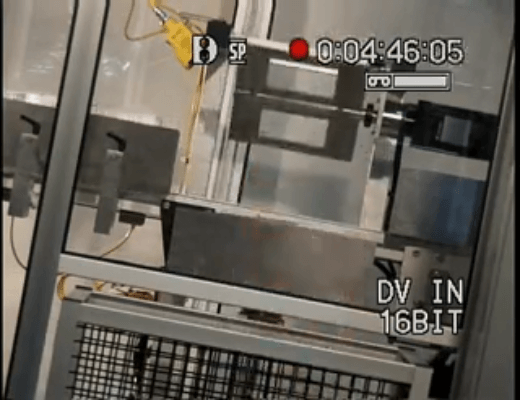 A pneumatic vertical side gate can be incorporated to this reject handling system to lower at reject detection, hence cleanly and quickly discharging reject product to a reject conveyor or bin. 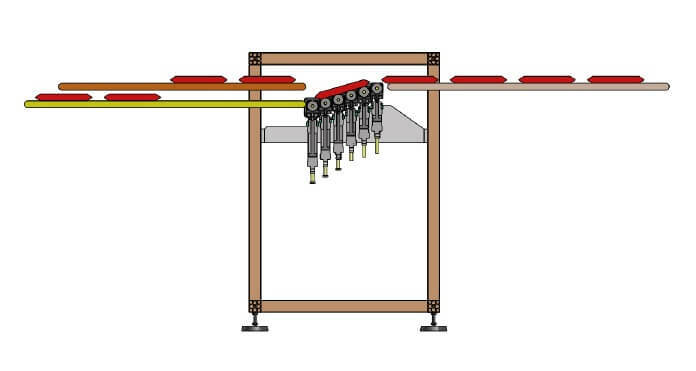 This system is also available in a single-paddle variant for applications that do not require a second paddle.